Magasin Du Nord is a luxury and fashion chain with department stores spread all over Denmark. 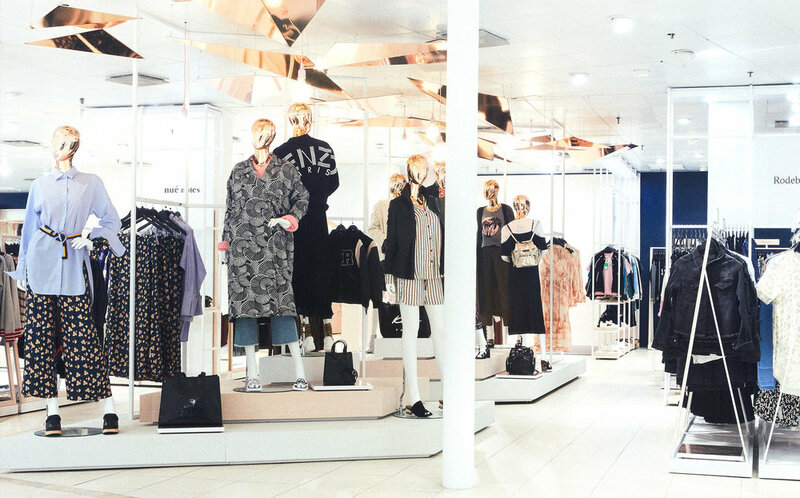 Their customers enjoy a combination of a premium experience in terms of brands, service and interior design in their stores. Magasin du Nord turns 150 years next year, so it’s a very well-known Danish landmark with more than 15.000.000 visitors to their six malls pr. year. No further introduction is needed to understand that it’s a truly great brand to work with. We were therefore intrigued, when they asked us to help them create the first steps of a digital member club experience. 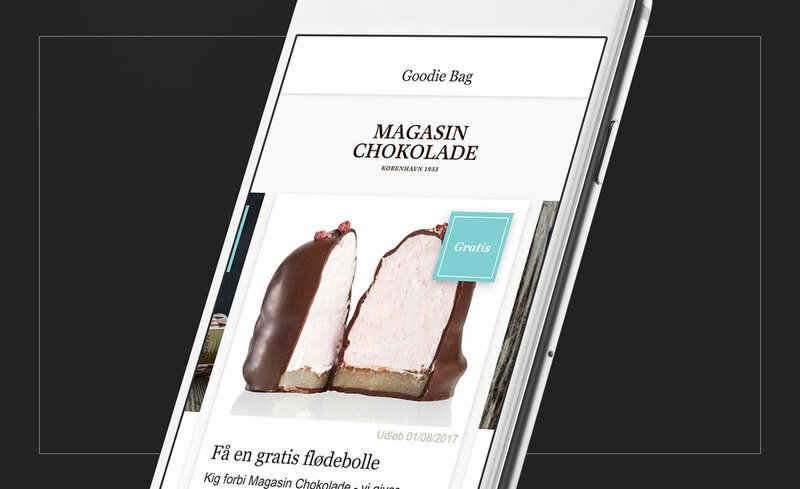 The app serves as a substitute for the physical Goodie Card the loyalty members club of Magasin du Nord. This card provides access to exclusive events, deals and great offers. 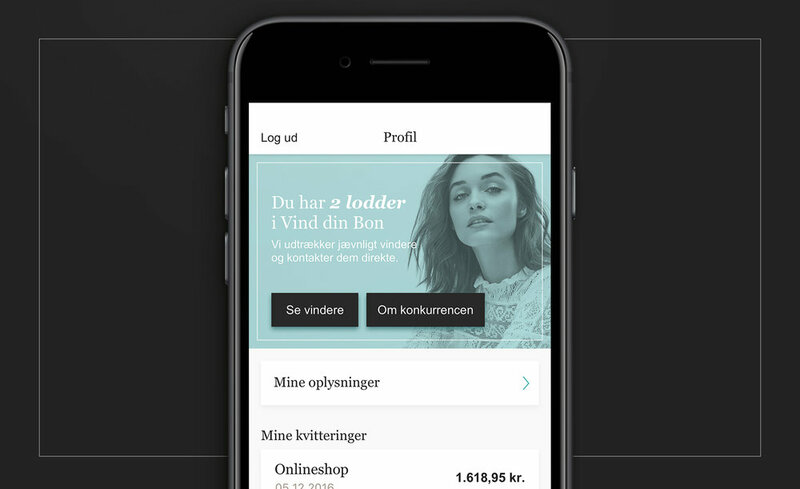 Besides bringing the membership card into your pocket, the app also serves as a place to view your receipts, personal information and advantages of the club membership. The cherry on the top of the cake is Magasin du Nords digital vouchers - Goodie Bags creates a omni-channel experience where the app is connected with the in-store presence and drives traffic to their locations. 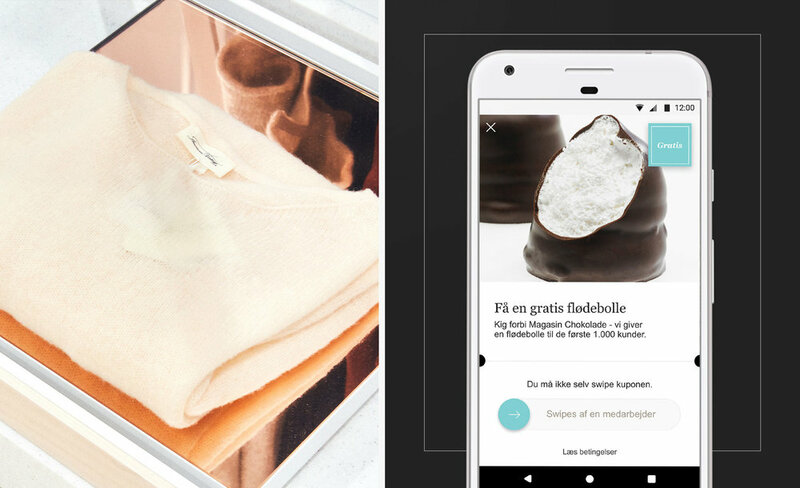 The app exclusively brings you offers to use at each of their malls and individual brand stores – as long as you have your new digital Goodie Card.